Roberto Firmino was influential with a goal and an assist in the first leg. EFE. 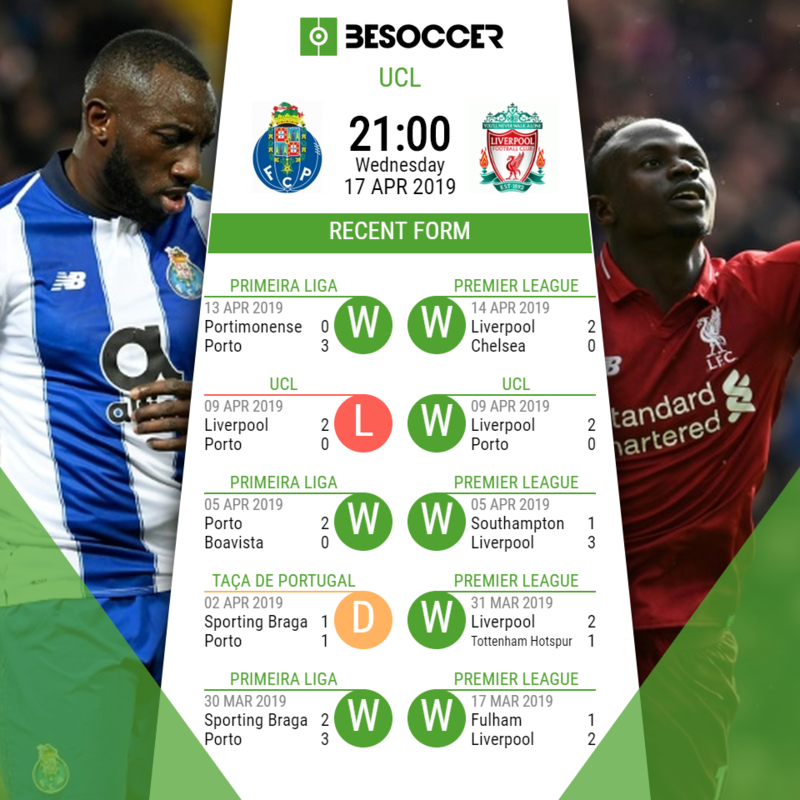 The Portuguese champions will be boosted by the return of Mexican midfielder Héctor Herrera and Portuguese centre-back Pepe - two key players who missed the first-leg defeat at Anfield through suspension. The return of the experienced Pepe will allow Madrid-bound defender Éder Militão to move across to right back as he did effectively in the last 16 tie against Roma. Striker Vincent Aboubakar is still not ready to return to action following a long injury layoff, meaning the usually prolific Moussa Marega will have the opportunity to put right some wasteful finishing from last week's tie in North West England. Centre-back Dejan Lovren has not travelled with the squad to Portugal after missing training on Monday through illness. This means Cameroonian Joël Matip will be the most likely partner for the imperious Virgil Van Dijk at the heart of Liverpool's defence, although Joe Gomez has been included in the squad and played an hour for the under 23s on Sunday as he steps up his recovery from injury. Jordan Henderson limped off towards the end of Liverpool's crucial 2-0 win against Chelsea on Sunday, but Klopp has confirmed that he is fit to start as he looks to continue his rich vein of form that has accompanied his transition to a more advanced midfield role. The Premier League leaders will also have marauding full-back Andy Robertson available for selection after he missed the first leg due to suspension. "There is no greater motivation than to be competing in a quarter-final and to make a historical turnaround," he told a packed news conference on Tuesday. "I like the way Liverpool play. Sometimes, they are the best team in the world". “We go there to win the game, that’s the plan. It’s not easy, we know that, but we should not think about anything else because that’s always the aim.”, insisted Klopp, before adding: “If we were 2-0 down and going into the home leg, would we think we were out? No way. That’s exactly what Porto are thinking".